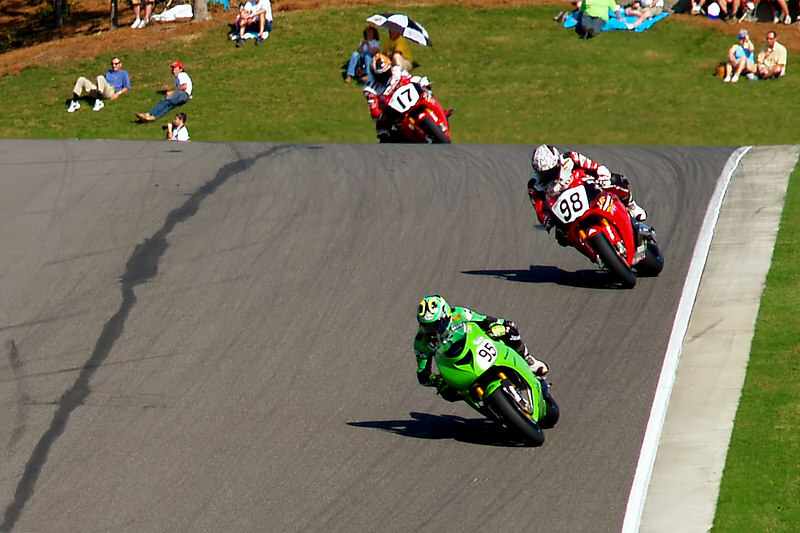 I flew back to Tennesse to visit family, Spring of 2006, and found out the AMA Pro races were at Barber Motorsport Park during the same time as my visit. So I added it to may list of things to do. I rode to the races with Dougati and Cloner, and we based out of the Ducati owners hospitality area. Real nice folks, still won't own a Ducati. Enjoyed the races and a trip the museum. This is a must see for any motorcycle enthusiast, if you find yourself in the southeast US.